We Are Direct Local Home Buyers, No Middle Man. Fast Easy Closing! Get The Process Started..You Have Nothing To Lose. Need To Sell Your House Fast in DC? We Are Able To Help! 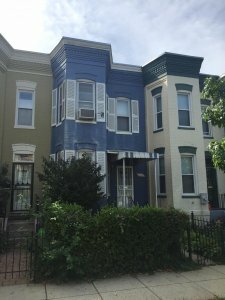 We Buy Houses In Washington, DC In AS Is Condition. We are not real estate agents, you will not pay any commissions or any other “out of pocket” expenses..this means more money in your pocket! Your home sold GUARANTEED or we’ll give you $2,000. Along with more money in your pocket, we can work on your time frame. This means if you need to close fast, we can close fast or if you need time to make arrangements, no problem! We will close on your time frame. By working directly with MB Home Buyers, you avoid the hassle and headaches of selling your property the “traditional” way in Washington DC. If you want to say “good-bye” to that troublesome property… get the process started by filling out the form above or call us right now at 202-846-0285. Why Work With MB Home Buyers? We are the premier real estate solutions company in the DC metro area and we help sellers just like you — we buy Washington DC houses with cash directly from homeowners. Giving them a fast solution while still paying top dollar for houses, even though it may need lots of work. When you need reliable solution, regardless of the situation, we follow through with what we say, no games or gimmicks. We know when you need to sell your house fast, it can stress you out because selling the traditional way is not going to be the solution you need right now. At this point, you can’t afford to waste any time or just don’t have the resources nor money to fix the property. Remember home-buyers are looking for “move in” ready homes that are updated. You first need to contact us today… once we receive your information, we can get on a short phone call, we will be ready to give you a fair and easy to understand offer. No obligation! When you accept our offer, all you need to do is tell us when you would like to close, and we will schedule it with a local trusted settlement company in DC. It doesn’t get any easier than that. Direct cash buyers in DC, the “no” delay cash buying company. Contact us today! We live in Washington DC and we’ll meet you at your property, on your schedule, to make sure you get the honest assistance you need. TRUST US! Washington DC residents have come to know us as the local and honest people for buying houses AS IS and FAST. Instead of dealing with corporations and call centers, deal with people who actually know your neighborhood and respect your privacy. We GUARANTEE our offer and can have a check in your hand as quickly as 5 days. No catch or gimmicks. When we say “we buy houses in Washington”, DC FAIR we mean it. We’re known for making better offers than other buyers in the area. We Have Helped Homeowners In DC In Their Situation..We Can Do The Same For You! If you need to sell quickly, we’ll make it happen. While it typically takes 45 – 60 days to close with a real estate agent, we can close as quickly as 5 days. We make it simple. We put you in complete control of the sale process. All you have to do is fill out the information form below and hit submit. We’ll call you within hours. It really is that easy. At MB Home Buyers, we believe that helping you can help the whole community. That’s why our motto is, “Restoring Communities Through Real Estate One House At A Time” — and the work we do for you will help you get back to living life with the mental and financial stress that comes with trying to sell a real estate property. Working with us means a simple, fast, and no-hassle way to put your real estate problems behind you, put more money in your pocket, get on with your life.